A Multnomah County Democratic Party official has been identified as the person responsible for “Facebook organizing” a hateful protest against the Oregon TEA Party. The event included racist, homophobic and anti-American remarks against the Oregon TEA Party, and is currently being investigated by a Portland State University official. 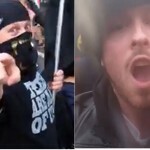 Left: Multnomah County Democratic PCP Jamie Earl organized the hateful attack using Facebook. 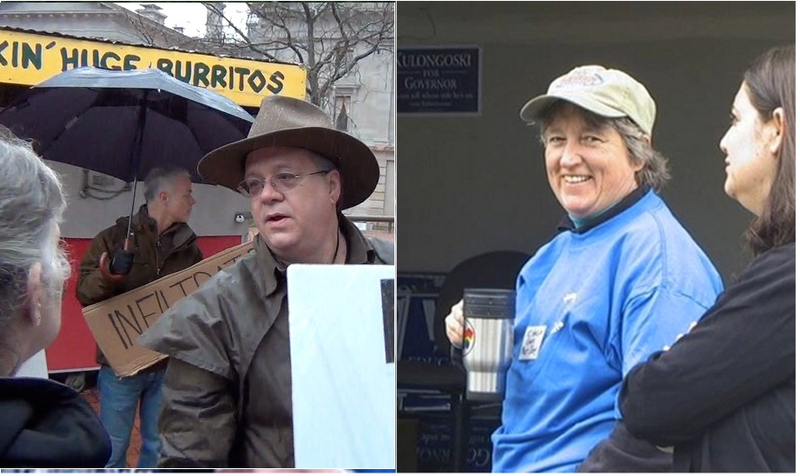 Right: Earl is Facebook and Huffington Post Friends with Multnomah Democratic Party Chairperson Carla “KC” Hanson. 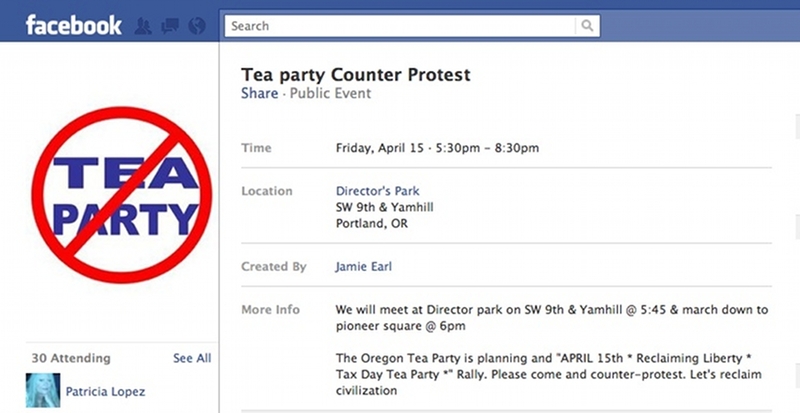 Democratic Party Multnomah County Precinct Committee Person (PCP) Jamie Earl established the Facebook Page setting in motion the hateful counter protest against the Oregon TEA Party. Earl has Facebook and Huffington Post friendship ties to Multnomah Democratic Party Chairperson Carla “KC” Hanson. The shocking videos were broadcast on national cable news networks and went viral scoring over 300K YouTube hits. Participants included leadership of the International Socialists Organization (ISO), and area anarchists, which may have used Portland State University (PSU) resources to organize the event. A complaint has been lodged by State Representative Katie Eyre Brewer with a University Vice-Provost who is investigating the matter. Mayor Sam Adams has yet to schedule requested meetings with the victims. Dateline Portland Oregon 22 June 2011: On April 15th the Oregon TEA Party held it’s annual Tax Day TEA Party. This is a family event for which proper permits are obtained. Since its foundation in February 2009 the demonstration has attracted mainstream Oregonians who peacefully advocate lower taxes. 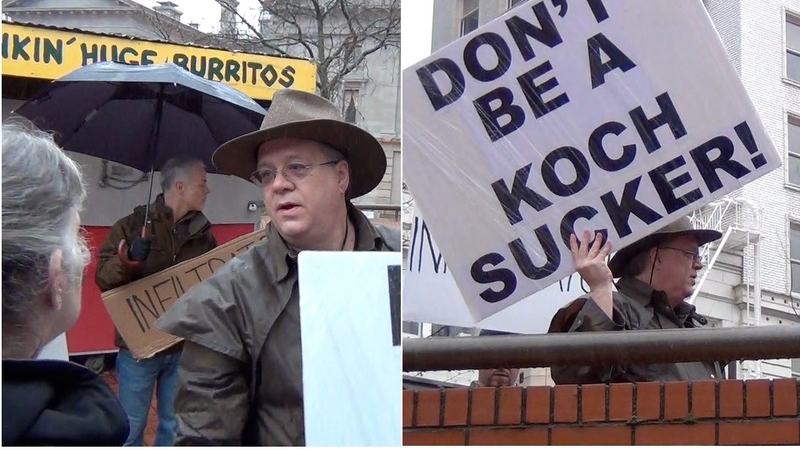 This year the TEA Party was counter protested by a group of individuals who issued multiple slurs against homosexuals, blacks, and the United States. These remarks were caught on tape and viewed widely on national television programs such as The O’Reilly Factor, Hannity, and Glenn Beck. Left wing media outlets both nationally and locally, have ignored the videos and incontrovertible hate. Portland Mayor Sam Adams has as yet refused to schedule meetings with those involved. The Facebook Event created by Earl indicates a degree of planning and sophistication, including a logo which appears to advocate a banning or extermination of the TEA Party. Earl has “Friendship” connections on both Facebook and The Huffington Post to Multnomah Democratic Party Chairperson Carla “KC” Hanson. Regardless of Earl’s intent, the event resulted in multiple disparaging remarks and so-called “hate speak” against blacks and homosexuals. These were later “YouTubed” by a local citizen journalist and were in turn picked up by breitbart.com, theblaze.com and later by Fox. As yet no one in the Democratic Party has come forward to condemn the remarks. The Facebook page provides further evidence that the counter protest was not a spontaneous event, and indicates a high level of sophistication in planning. International Socialists Organization (ISO) leader Adam Sanchez is shown on the Facebook page as indicating he would participate along with Wael Elasady, another prominent member of the group. 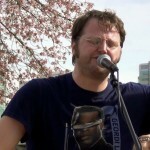 PSU ISO Chapter President Neil (Thomas) Loehlein was a prime participant in the anti-American remarks at the event including “Shove the Constitution Up you A$$,” “F*ck the United States of America” and giving the double middle finger during the singing of the national anthem. He also hurled verbal assaults such as “That guy’s a F*cking TEABagger” which many feel is disparaging against homosexuals. Similarly, the ISO has yet to come forward to apologize. Left: Jamie Earl, identified as an infiltrator, engages with unidentified TEA Party Patriot. Right: “The New Civility of the Left” Democratic PCP Jamie Earl with his sign. Vice Provost for Student Affaires Jackie Balzer is currently investigating the matter. Daylightdisinfectant will provide you with updates as they are made available. 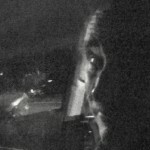 This article was developed by a team of citizen journalists in the Portland area. If corrections are necessary to this blog article please email daylightdisinfectant@gmail.com. Tips are also welcome. All efforts will be made to protect the anonymity of the source. Additionally, rewards may be paid for significant leads and information.